The innovative growth core project Linked Enterprise Data Services (LEDS) is aiming at developing, establishing and merchandising the next generation of semantic, interlinked data driven applications and services based on the Linked Data paradigm. In order to achieve this goal, LEDS develops a technology platform, which will include competences, methods and concrete technological building blocks. The project is directly in line with the development of Web 3.0 and with the 2020 strategy for eGovernment. LEDS project partners are part of the SEMANTiCS2016 organisation team and will give research and industry talks during the conference. LEDS representatives are members of the programme committees and are nominated as Poster Chair and as Sponsoring Chair. In addition to that, we have chosen the SEMANTiCS2016 as our first public outcome event. Corporate Memory and Big Data / Linked Data Integration. 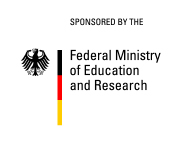 The project is funded by the German Federal Ministry of Education and Research. The three-year project started in 2015 and is split into six work areas which tackle the most crucial aspects of semantic applications: speed, capacity, scalability, complexity and interactivity. Collaboration is one of the most important topics regarding the evolution of the World Wide Web and thus also for the Web of Data. With the increasing adoption of NoSQL data base systems like MongoDB or CouchDB more and more applications store structured data according to a non-relational, document oriented model. A large part of the free knowledge existing on the Web is available as heterogeneous, semi-structured data, which is only weakly interlinked and in general does not include any semantic classi fication. Coherent and consistent tracking of provenance data and in particular update history information is a crucial building block for any serious information system architecture. Large corporations have to master vast amounts of heterogeneous data in order to stay competitive. Since the most of the world’s data is unstructured, the mining of required information from text was, is and will be essential. The innovative growth core project Linked Enterprise Data Services (LEDS) is aiming at developing, establishing and merchandising the next generation of semantic, interlinked data driven applications and services based on the Linked Data paradigm. In the last years, Big Data as well as Linked Data technologies gained wide attention. The primary goal of Big Data technologies is the high-performance analysis of large-scale data (volume and velocity), while Linked Data aims at integrating distributed, heterogeneous data (Variety).